Elvis on TV was always more than a regular program, more than a special event; it was a cultural experience. 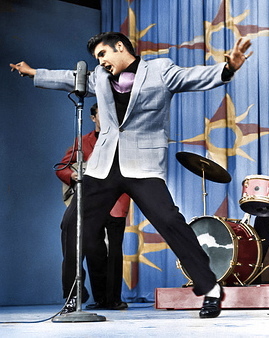 Presley was unknown nationally when he first appeared on national television on January 28, 1956. That appearance on CBS’s Stage Show, along with the five others that followed, launched him on the road to super stardom. Thereafter, high ratings were the standard whenever Elvis appeared on the small screen. During his lifetime, Elvis Presley made 15 high profile national TV appearances, 11 of which came in 1956. The first six were on Stage Show, hosted by Tommy and Jimmy Dorsey, in the first three months of 1956. That was followed by two shots on NBC’s The Milton Berle Show on April 3 and June 5. 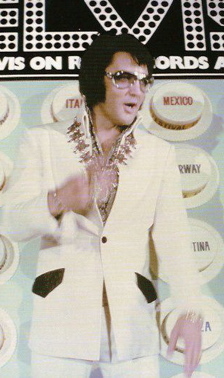 Steve Allen featured Elvis on his NBC variety show on July 1. Ed Sullivan then signed Elvis for three legendary appearances on his CBS Sunday night variety show on September 9 and October 28, 1956, and January 6, 1957. 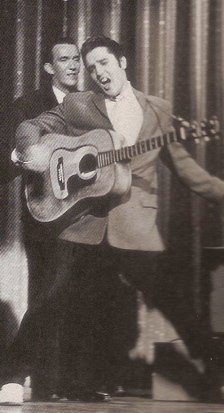 The latter was Elvis’s only TV appearance in 1957. Presley fans and critics then waited over three years to see Elvis on TV again. His first public appearance after leaving the army was on Frank Sinatra’s May 12, 1960, ABC special. For the next eight years Presley was seen only on the big screen, as he focused on his Hollywood career. 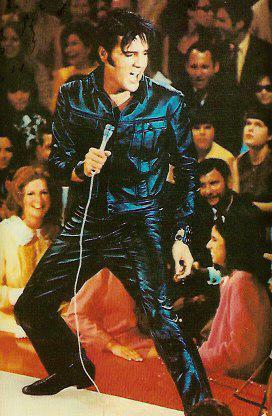 Elvis recharged his waning career when he headlined his NBC “Comeback Special” on December 3, 1968. His last TV special during his lifetime came on April 4, 1973, when Elvis: Aloha from Hawaii was broadcast in the U.S. by NBC. 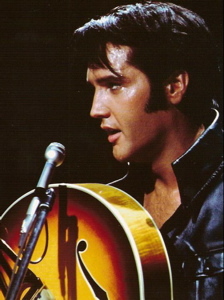 Seven weeks after his death, another Elvis TV special was aired when Elvis in Concert ran on CBS. • Elvis on the Dorsey Brothers' Stage Show: It was the jumping-off point for Elvis in 1956. • Elvis on The Milton Berle Show: "Hound Dog" on the Berle show in 1956 was Elvis's top rock 'n' roll moment. • Elvis on The Steve Allen Show: The taming of rock 'n' roll and its biggest star. • Elvis on The Ed Sullivan Show: A view out of the ordinary. • More About Elvis on The Ed Sullivan Show: How the King of TV and the King of Rock 'n'r oll came together. 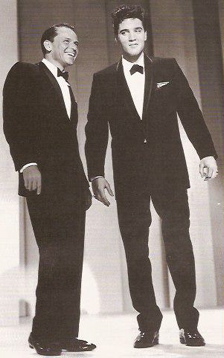 • Elvis on the Frank Sinatra Special: The 1960 special with Elvis drew poor reviews and high ratings. • Remembering Elvis's "Comeback Special": It was a spiritual experience for Elvis fans in 1968. • Elvis: Aloha From Hawaii: Demystifying the myth around the 1973 TV special.